Our advanced treatment options include solutions for vein removal, skin-tightening, laser hair removal, nonsurgical facelifts, hair loss, and hormone balancing. When it comes to vein removal, we take the propper steps to make sure your unwanted veins don’t come back. To do this, we use a 2-step process. First, we use Aesclera Sclerotherapy to diminish the main blood supply. Then we use the top-of-the-line Candella laser for rein removal to tackle the smaller spider veins. The veins disappear right before your eyes, with permanent and immediate results! 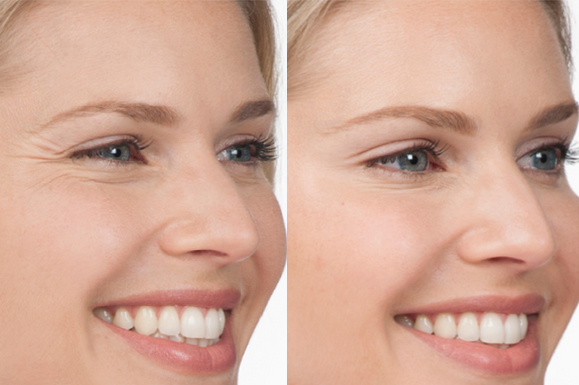 The Candela lasers are known for being one of the most effective skin tightening lasers in the world. It provides dramatic skin tightening results for firmer, tighter, younger-looking skin. We simply place the laser over the area being treated, and let the infrared light beams go to work. It is a safe, simple, and effective solution that quickly provides noticably tighter, firmer results. Our top-of-the-line Candela laser for hair removal provides smooth results quickly and effectively with little to no pain. We simply place the laser over the area being treated, and let the infrared light beams go to work on the hair folicle. It is a safe, simple, and effective solution that quickly leaves you with noticeably smoother, stuble-free skin. Also known as “Collagen Induction Therapy”, or “Dermapen Microneedling”, Microneedling is an all-natural and minimally invasive skincare technique that used controlled micro-injuries to the skin to allow the skin to heal itself, in the process boosting your skin’s production of collagin and elastin, two of the most important substances in maintaining plump, youthful-looking, glowing skin. Results are remarkably effective on damaged skin, including those that have endured sun damage or acne damage. Chemical peels are specialized treatments that are applied to the face to disolve the outtermost layer of skin and achieve healthier, more supple, more radient skin. Chemical peels are an essential addition to any regular skincare regimen as both a preventative and corrective skincare treatment. Regular chemical peels help maintain a healthy, beautiful, age-resistant skin, reverse the signs of aging, imrpove skin tone and color, stimulate collagen production, and diminish acne. Known for being the a safe and effective alternative to facelifts (if not the safest), the PDO Threadlift utlizes small surgical strings to tighten small areas of the face. The result is even more precise tightening results than a traditional faceleft, with no cutting or scarring, and with minimal downtime. Prescription-grade Bioidentical Hormones are the safest, most natural way to achieve hormonal balance and rectify the symptoms of fatigue, low libido, weight gain, stress, mood swings, night sweats, hot flashes, female hair loss, and more in both men and women. Pellet therapy uses the same, compounded bioidentical hormones that are used in pills, creams and tablets – except they are administered in rice grain-sized pellets, that are implanted beneath the skin by the doctor in a very minor procedure that takes only minutes. The result is perfectly balanced hormones, with no rollercoaster effect, no matter where you are or what you are doing. PRP Hairloss Prevention allows us to invigorate and strengthen existing hair follicles to effectively and naturally prevent further hair loss with no added sirums or chemicals. It is, by far, the most technologically advanced, safest, and most effective treatment for hair loss available today. PRP Skincare Treatments, also known as the “Vampire Facial”, is the most technologically advanced, safest, and most effective treatment for skin rejuvination and acts as an all-natural alternative to dermal fillers. By injecting your bodys own platlet rich plasma into the area being treated, it invigorates the area to effectively and naturally plump, tighten, and refresh the skin, with no added sirums or chemicals. For more information about any of our advanced treatments please schedule your complimentary and private consultation with Dr. Ackerman and staff. During that consultation we will review aesthetic goals, desired treatments, and review the risks and benefits to determine the best course of action to acheive your beauty and/or weightloss goals. Complimentay consultations can be scheduled online or via phone at (561) 682-1325. At Estucia, with offices conveniently located in Palm Beach County, we are pleased to offer the most advanced treatments on the market to fight visible signs of aging. Our staff will work closely with you to assess the condition of your skin and listen carefully to your beauty goals, in order to create the safest and most effective treatment plan to rejuvenate and refresh your skin, bring back your youthful glow, tighten skin, remove unwanted hair or veins, or treat weakened hair follicles. We also have a variety of prescription diet pills, weight loss solutions, appetite suppresants, and hormone balancing options available.